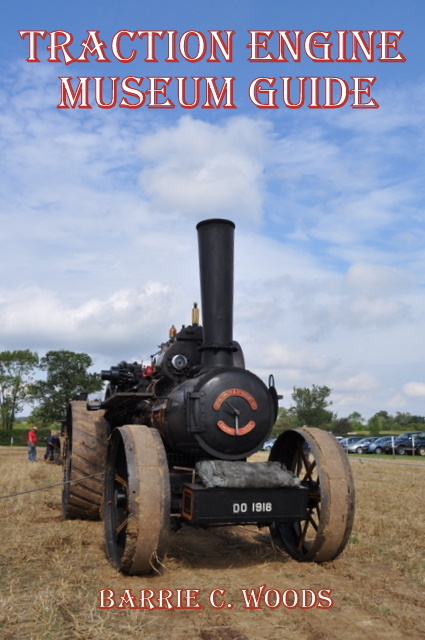 This book is a guide to the many traction engines around the country which are ensconsed in Museums and other locations such as Fire stations and Garden centres, as well as some private collections which the public can visit. This is the 3rd edition of the guide, the previous editition being published in 2012. The book has full colour card covers and 128 pages, with nearly 600 engines listed, with their basic details, at over 160 museum and other locations, 31 of which are new to this new edition. 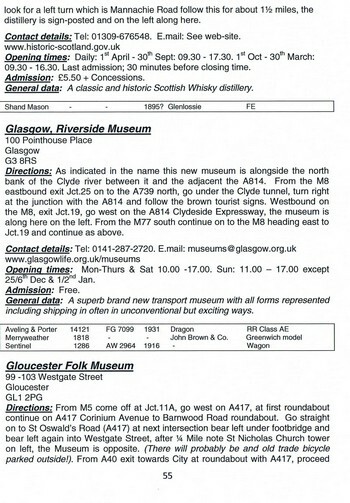 Each location has details of how to get there, e.mail address, web-site, telephone numbers where known, along with opening times and admission charges, There is also an 'Engine cross-reference' section and a 'Museums by County' section.